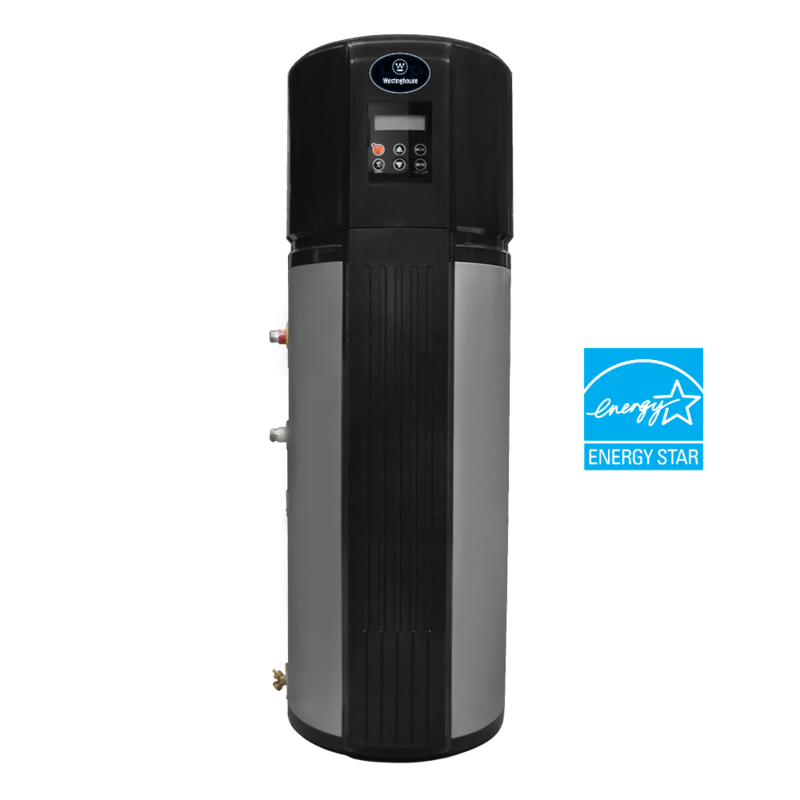 The Westinghouse Electric Heat Pump Water Heater has an Uniform Energy Factor of 2.8, exceeding Energy Star performance of 2.0. Its glass-lined storage tank tolerates high temperatures and offers superior resistance. The Westinghouse Electric Heat Pump Water Heater uses ambient room air to heat domestic hot water. It's super-insulated for minimal heat loss and energy efficiency. The Electric Heat Pump Water Heater has a limited 10 Year residential warranty for your guaranteed satisfaction! 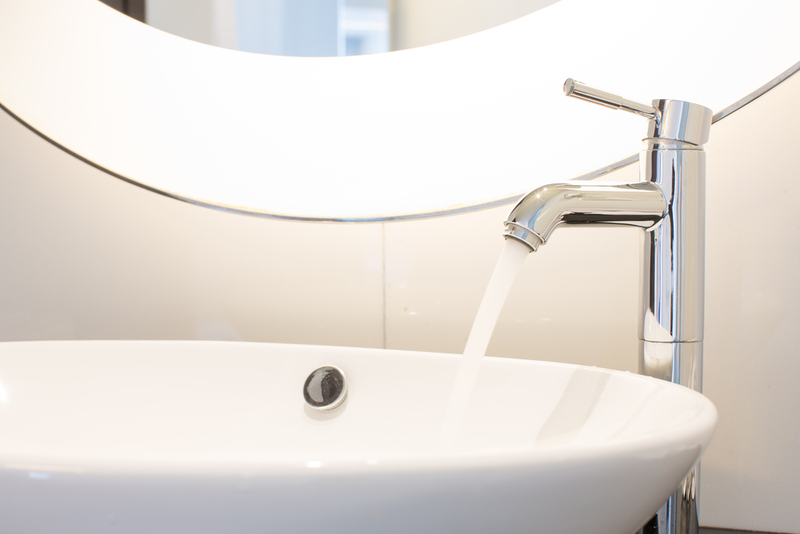 Contact a member of the Westinghouse Water Heating team for a FREE consultation. Not only does the Westinghouse Electric Heat Pump provide adequate water heating for your household, it also has four operating modes: Economy, Auto, Standard, and Vacation. Vacation mode can be set from 3 to 99 days! The adjustable surface mounted high limit control protects against overheating, so you never have to worry! 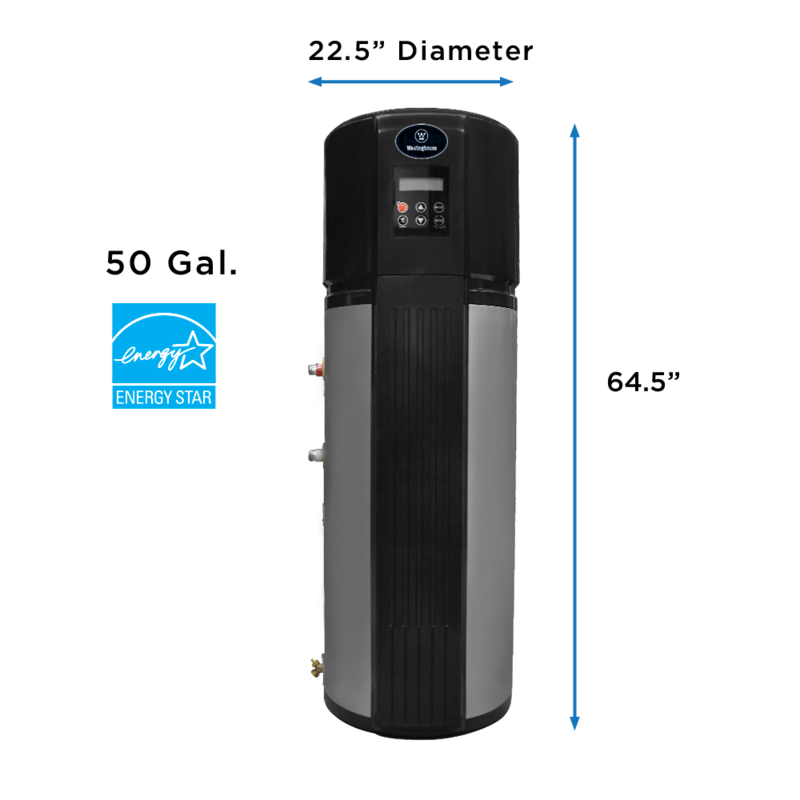 Our heat pump also features 3/4" inlet and oulet water connections on the sides of the water heater for an easy installation. The Westinghouse Electric Heat Pump Water Heater features a hot water outlet with a dip tube that draws the hottest water from the tank. Cold water inlet with dip tube directs cold water to the lower heating element, minimizing the mixing of cold and heated water and providing long draws of hot water. The electric junction box is located on top of the water heater for easy wiring and installation. A pressure relief port: temperature and pressure relief valve is also included. 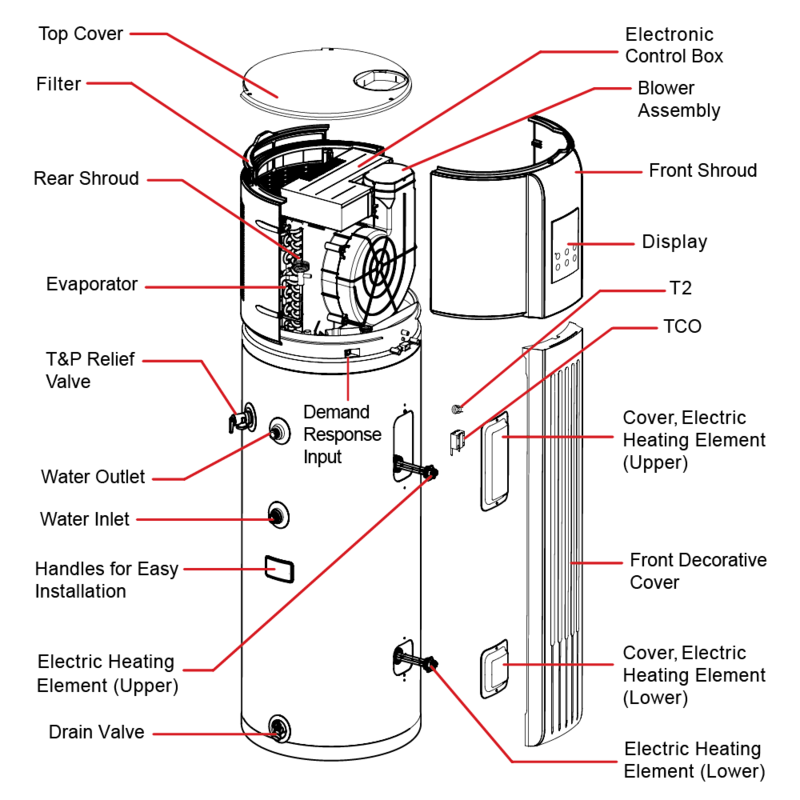 comes standard with 240V / 30A Electrical Connection. exceeds energy efficiency codes of all states, including California Energy Commission (CEC). a first hour delivery of up to 66 gallons, to provide you with ample hot water right when you need it. Westinghouse Water Heating prides itself on premium protection for your products! The Electric Heat Pump Water Heater includes a limited 10 year residential warranty.